Speedway races, called heats are typically competed by four riders who are racing over four laps. All four riders wear differently coloured helmets which indicate whether a rider is a member of home or visiting team as well as determines the rider’s starting position. The rider wearing the red helmet has a pole position, blue helmet denotes second, white third and black or yellow helmet the four (outside) starting position. Sometimes six riders compete a heat but in this case, heat usually has six laps. 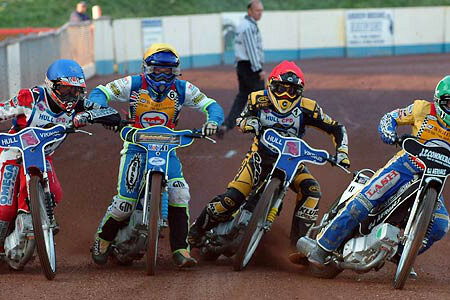 Speedway riders are awarded points which are accumulated over the event. The rider who finishes the heat first gets 3 points, second rider gets 2 points, third rider gets 1 point and fourth/last rider gets zero points. The racer who has the highest score after the last heat is the winner. If the race finishes with a tie, it is a dead heat. In case of a tie for the first place, both riders get 2 points. A tie for the second place earns both riders 1 point, while a tie for third place means zero points for both riders because they aren’t only third but last as well. Speedway track that hosts a professional speedway tournament must meet the rules and regulations of the Federation Internationale de Motocyclisme (FIM). It must be minimum of 850 feet and maximum of 1500 feet long, and minimum 33 feet wide on the straights and 46 feet on the bends. The surface of the track is made from four layers of grading, with the top layer granules not exceeding 0.28 inches. Asphalt, tarmac and concrete mustn’t be used. Before the event and during the event - if necessary - the track is watered in order to prevent the surface forming a cloud of dust jeopardising the riders and the public. The FIM requirements also include various safety features to reduce the risk of injury for both the riders and spectators. Speedway riders must use motorcycles that meet the FIM’s standards and delivered using a single accredited transportation company. 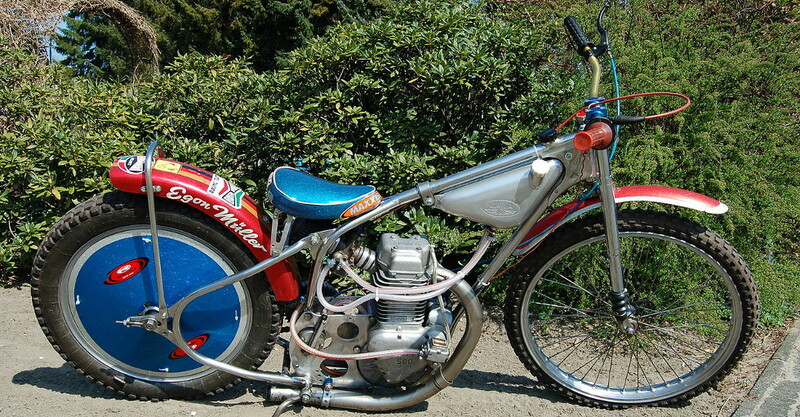 According to the latter, speedway motorcycles mustn’t have brakes, have only one gear, be powered exclusively by methanol, have safety cut out device, have a four-stroke, one-cylinder engine with a maximum capacity of 500cc and weigh at least 170 pounds.